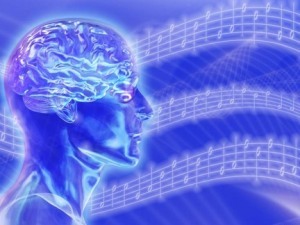 The Neuro-chemistry of Music: there’s more research! The neuro-chemistry of music is endlessly fascinating to me! People have loved music for thousands and thousands of years. We know intuitively that music can cause us to feel a huge range of emotions…ecstacy and thrills, to devastion and pain. What would romance be without its songs and what would worship and spiritual life be without its songs? Imagine an army marching into war without pipes and drums, trumpets and clarinets! For hundreds of years, no one knew exactly HOW or WHY music elicited all of these emotions…just that it does and we are so happy about that! At the end of the 20th century, finally scientists began to have the tools to look at the brain in a whole new way. This is when brain research began to really accelerate. Neuro-chemistry books, articles and research are easy to find. All you have to do is search for Brain Chemicals and music, to find dozens and dozens of studies on the brain and music. Another great one is https://www.wired.com/2011/01/the-neuroscience-of-music/, “The Neuroscience of Music.” If you’ve always wanted to understand more about how music works in our brains and in our bodies. start with these two articles, and then get into the 200-300+ blog posts here in my blog. There’s nothing more fascinating to those of us who love music as the lifeblood of our lives. If you’re looking for a career that will benefit nearly anyone in the world, think about going into music therapy, or into science and then neuroscience! I’m available to consult if you’re interested! DrAlice@HealingMusicEnterprises.com.